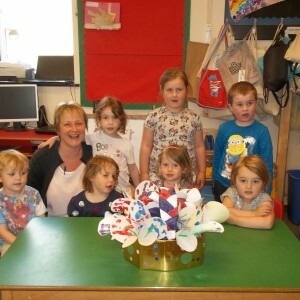 Lewannick Preschool have been asked to make a flower arrangement to mark the 90th birthday of Her Majesty the Queen. 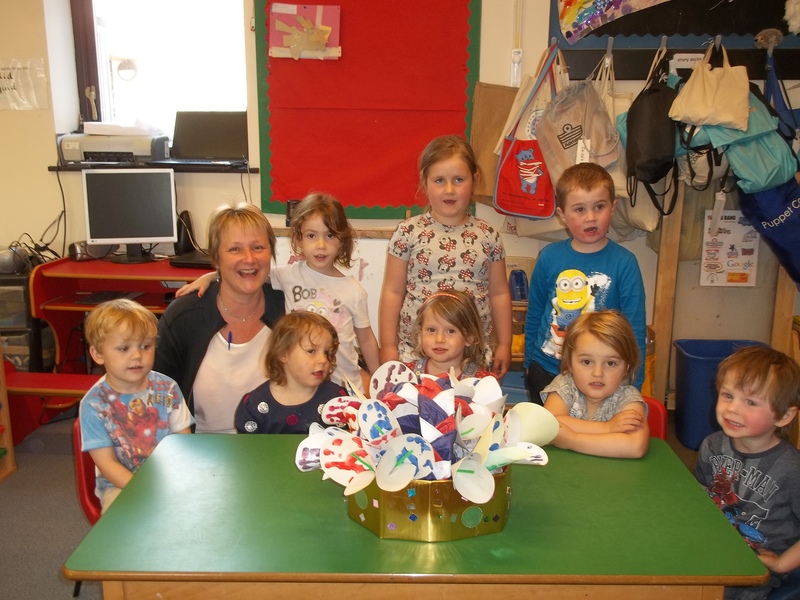 Our creation will be on display at St. Martin’s Church, Lewannick, on the 4th to 6th June 2016 (10am to 5pm) at the Lewannick Community Flower Festival and Gift Day. Please come along and see your children’s creative work. On Saturday 21st May 2016, a Fun Day was organised by some of our parents/grandparents to raise funds for the Preschool and Toddler Group. 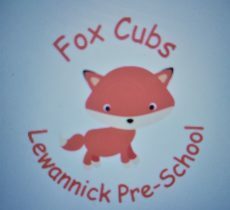 A special “Thank you” to Monica, Sam and Emily for organising it and to everyone who took part in the sponsored run/walk/toddle, donated tombola and raffle prizes and anyone who contributed towards the day. Thanks to all those who were able to attend too. As of today, the total raised is…£1108.76!!! A huge THANK YOU to everyone who took part and helped to raise such an amazing amount of money! We look forward to putting the money towards new things for your children to enjoy!